Lapidus Surfaces is a leading company, importing, warehousing and distributing marble, granite and quartzite slabs to the construction and renovation industry, both residential and commercial. We service Eastern Canada from our warehouse in Toronto and our clients can expect prompt delivery anywhere in Ontario, Quebec and Maritimes. We import slabs primarily from Brazil, India, Italy and Spain. Our suppliers use state of the art technology to ensure material quality, and we are uncompromisingly committed to the quality of materials and proper color selection for creating your personal space. The slabs are always inspected prior to shipment to ensure that best quality materials reach our warehouse. 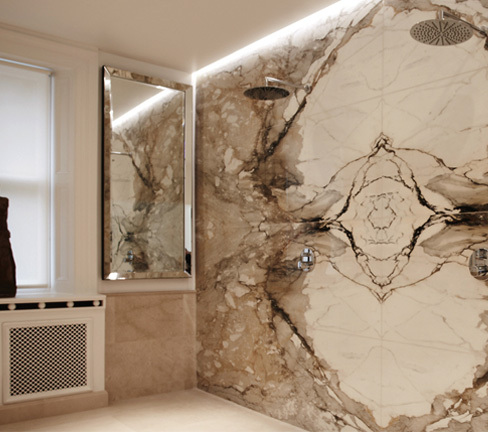 Lapidus Surfaces is a leading company, importing, warehousing and distributing marble, granite, quartzite, limestone, travertine, soapstone and quartz surfaces to the construction and renovation industry, both residential and commercial. We service Eastern Canada from our warehouse in Toronto and our clients can expect prompt delivery any where in Ontario and Maritimes.